Earth Day presents a wonderful opportunity to teach young children about the importance of taking care of our planet. Today, we’re sharing a compost and recycling sorting activity for toddlers and preschoolers. 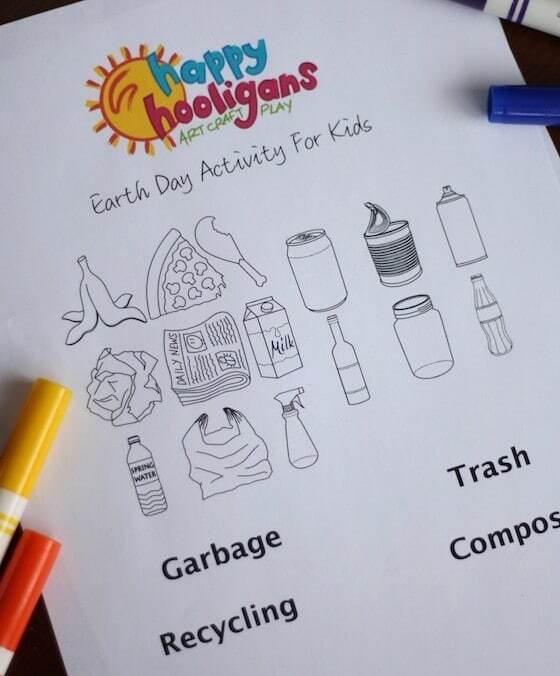 It’s a fun Earth Day Activity that helps young kids learn how to sort items for the compost bin, the recycle bin and the garbage. 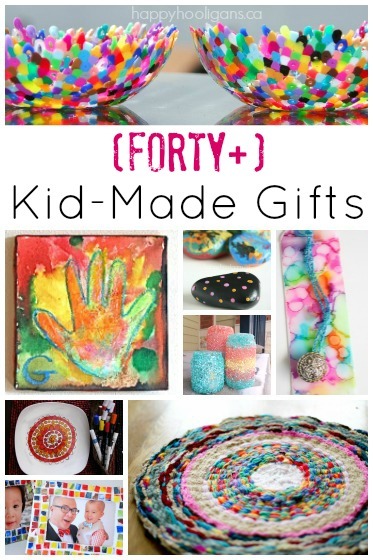 This activity is easy to make for your kids, and it comes with a free, downloadable printable. 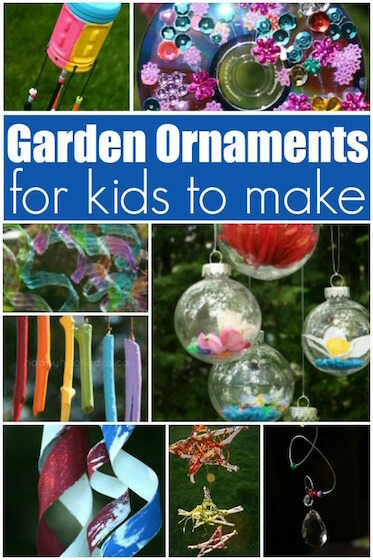 Thanks to Alana, from Parenting from the Heart for sharing this fun preschool Earth Day Activity with us! I thought my children had a pretty good handle on what to recycle, compost and throw in the garbage. More than once, I’ve heard them scold their father for not putting organics in the right bin. But the other day, I opened the trash can to see they had tossed their yogurt drink containers in there instead of walking over to the recycling bin. I decided it was time to to teach them about the impact of throwing away plastic other materials that can be recycled or reused. 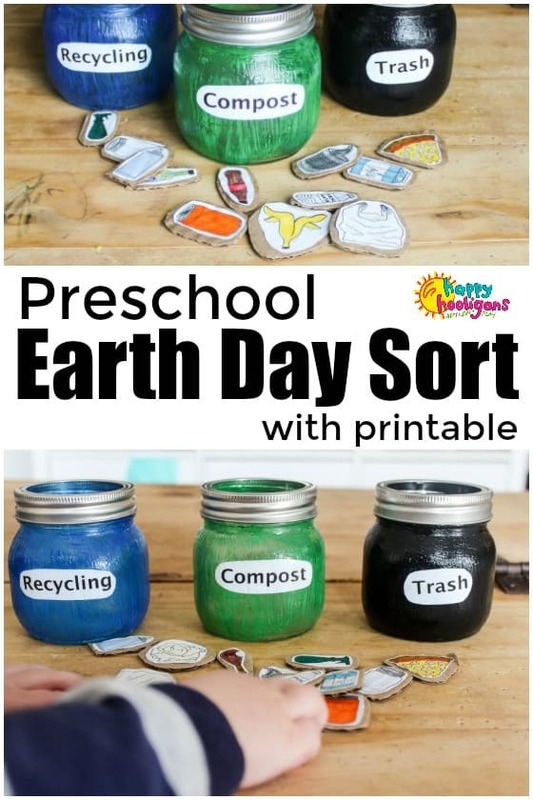 With Earth Day coming up on April 22nd, the timing was perfect to put together this sorting activity. To explain what happens when garbage gets to a landfill site, I began by telling my two young kids what an anthropology student once told me. Years ago, the college student told me his class went on a field study at a landfill. At the site, they used an instrument to pull up a segment of the layers of garbage from underneath. Within the layers were phone books and newspapers from over one hundred years ago. 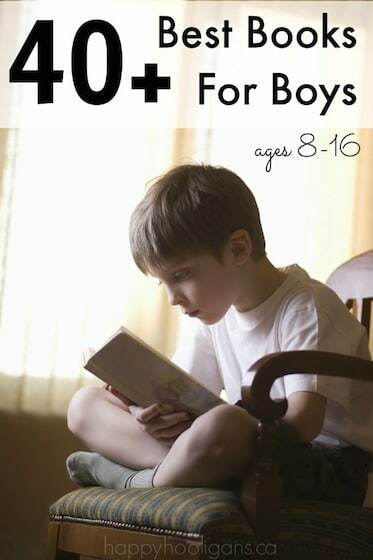 And the pages were still legible. He went on to tell me that, as each layer of garbage piles up, the more the garbage underneath becomes compacted. The more compacted each layer becomes, the less the elements can weather what’s underneath. This meant that every single time I threw a banana peel or an apple core in the garbage, I was doing way more damage than I thought. 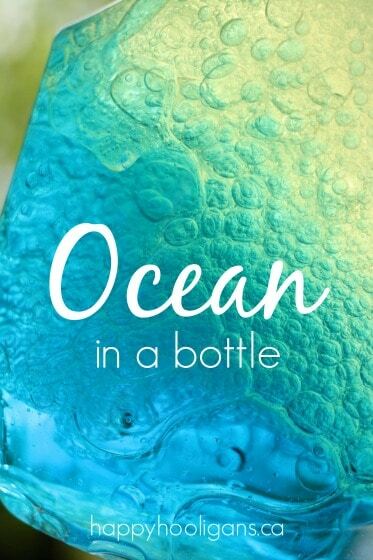 So, when I caught my kids throwing out plastic bottles, because kids learn best through play, I thought of up a couple of hands-on activities to teach them about the importance of recycling and composting. I grabbed a box and told my son and daughter to pile in as many items as they could find. They piled in Paw Patrol figures, Barbies, and a rogue sock or two that were underneath the TV bench. After a while, they could no longer fit another toy into the box. That’s when we talked about how this was like garbage in a landfill, and I asked them to guess how long it would take for their toys to break down. To help the kids understand how we can minimize our own impact on the environment, we created a fun sorting activity. This activity will teach kids how decide if items for the garbage go into the compost bin, the recycle bin or the trash. 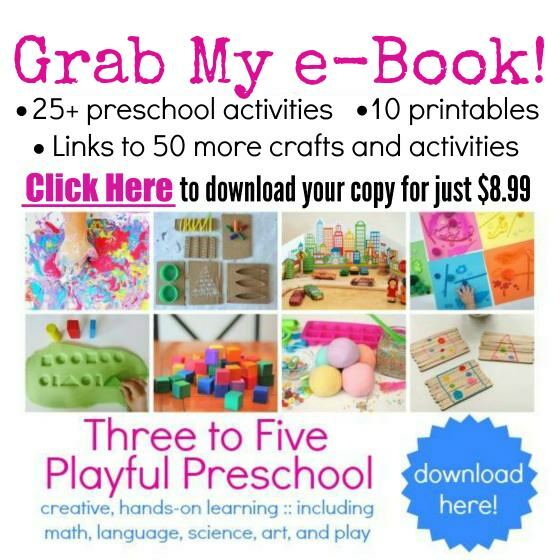 The activity comes with a free printable, which you can print out here. 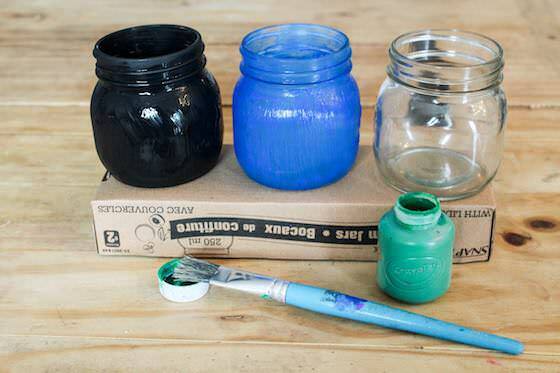 Have your kids paint the mason jars in colours that correspond with your bins at home. We painted the recycling jar blue, the compost jar green, and the garbage jar black. While waiting for the jars to dry, we printed out and coloured this printable. 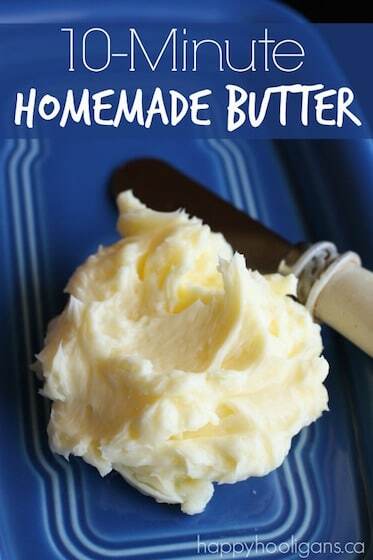 On the printable, you’ll also see labels for your jars. 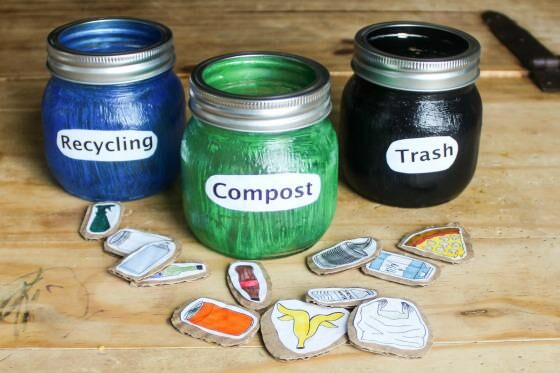 The object of this activity will be for your child to learn which items go in the compost, which go in the recycle bin, and which go in the trash, and to sort them into the matching containers (the glass jars). When the paint was dry, we covered each jar with Mod Podge and added the labels, Recycling, Compost, and Trash or Garbage from the printable. Mod Podge goes on white but dries clear. Don’t skip this step if you use tempera paint because it will otherwise peel. While the Mod Podge dries, cut out the food scraps and recyclables from the printable and glue them to a piece of cardboard. An old cereal box or pizza box works well, and it’s a great way to repurpose! Then cut out each item. 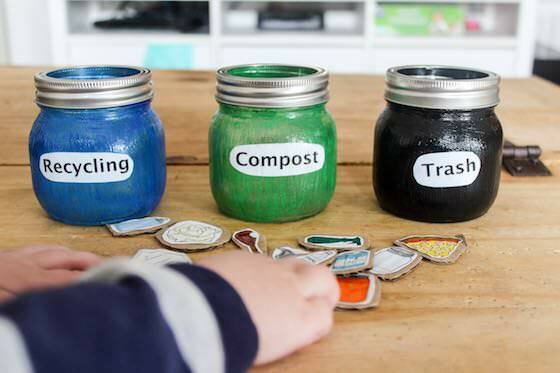 Once the glue has dried, the kids can sort their cardboard pieces and drop them into the jar they belong in: bottles and tin cans into the blue recycle container, food scraps into the green compost container, and non-recyclable items into the black trash container. Their fine-motor skills will be strengthened as they handle the small pieces of cardboard, and their problem-solving skills and critical thinking will be challenged as they sort their garbage for the composter, recycle bin and trash. 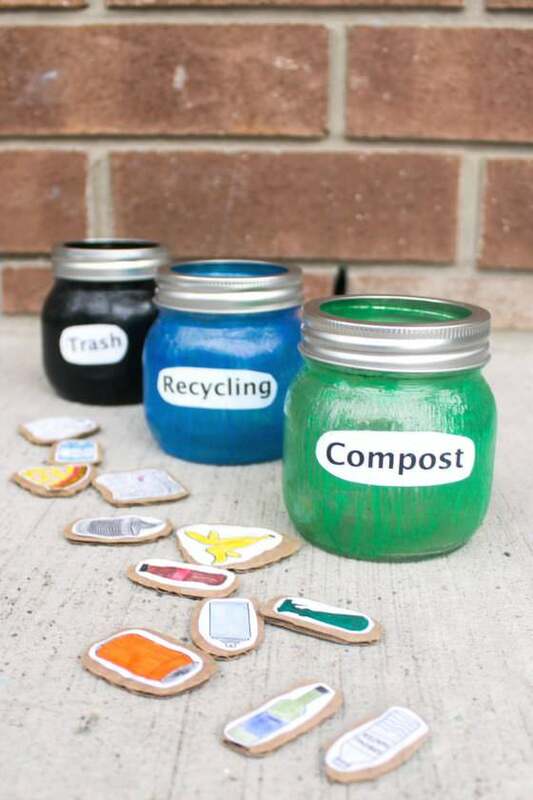 What a fun way for kids to learn about the importance of recycling and composting and a great sorting activity too! 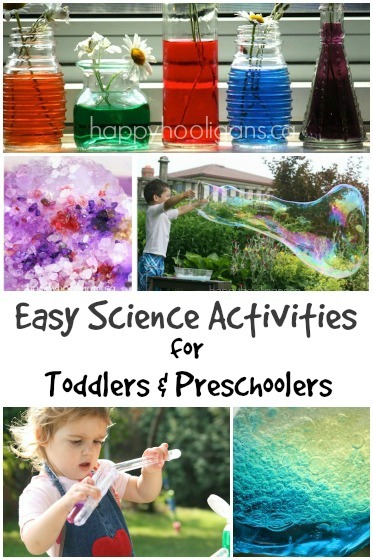 And don’t forget… Another idea you can do with your kids for Earth Day is to attend a science centre or aquarium. Many have exhibits on littering and sustainability.